I would like to thank Tricia and her team for this wonderful dinner tonight. They have arranged it to raise money for the Catholic Church. This is not a very fashionable cause. As you know, we in the Catholic Church use our money to hire Opus Dei Albino Monk assassins to kill anyone who tries to prevent us from covering up the fact that Jesus was married to Cleopatra, resulting in a bloodline that leads to Lili Marlene and Michael Jackson. 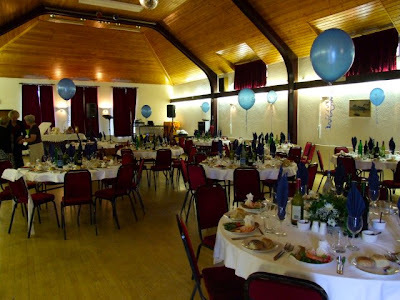 However, tonight's event will contribute to funding the refurbishment of the kitchen in our parish hall where Tricia and her team serve a reasonably priced three-course lunch every Thursday to 40 local people. Each of the team has contributed in their own way, with their own skills and attributes to plan, cook and serve the magnificent meal you have enjoyed. Many thanks to all of them for their hard work.